the best configuration to ensure uninterrupted operation of your project! The dedicaded server is this maximally possible embodiment for realization of your ideas. You have a big project in a network, which has a very high popularity and attendance of your resource, you need the maximal protection of information of your project, is required the absolute personal control over the platform, your project doesn't allow “neighbours” and requires the individual placing - in all cases you stand before the necessity of purchase and installation of your own server. It raises a number of questions before you - how to choose the platform and configuration, how enough the productivity of server is for a current project, how to envisage the supply of resources on the future, where to get highly skilled professionals to service the equipment, where to place a server and how many all of it will cost today, and tomorrow? 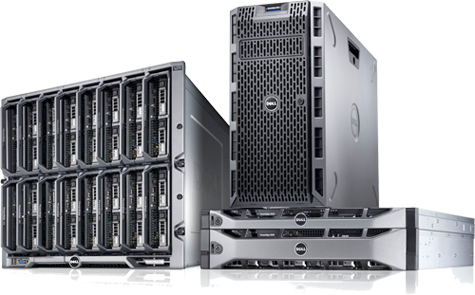 Your correct choice is a lease of the dedicaded server from Aviti! We will select the optimum configuration for the realization of your current project, the possibility of a phased increase in the power of the platform and resources for the development of your project, will set the selected by you operating system and a convenient control panel which allows you fully manage the server, place the server in your own data center, connect high-speed and reliable Internet port, provide not only the standard parameters: electric power, temperature, humidity air, but to control the capacity of separate joints and components of the server with a view to their rapid replacement if necessary. As well as all hosting providers, we can offer to you dozens of tariff plans and “optimal” configurations of the dedicaded servers, and to leave you in private with the not simple task of choice. We are Aviti, we will do better - call/write us or leave your coordinates. We will contact you gladly and promptly, will discuss all your wishes and details of the project, we will undertake responsibility and will offer really optimal solution!